IMI Hydronic Engineering is the leading global provider and expert in hydronic distribution systems and room temperature control, with experience in more than 100,000 construction projects worldwide. IMI Hydronic Engineering helps clients optimise their HVAC (Heating, Ventilation and Air Conditioning) systems by providing products and knowledge to deliver the right indoor comfort at the right energy cost. 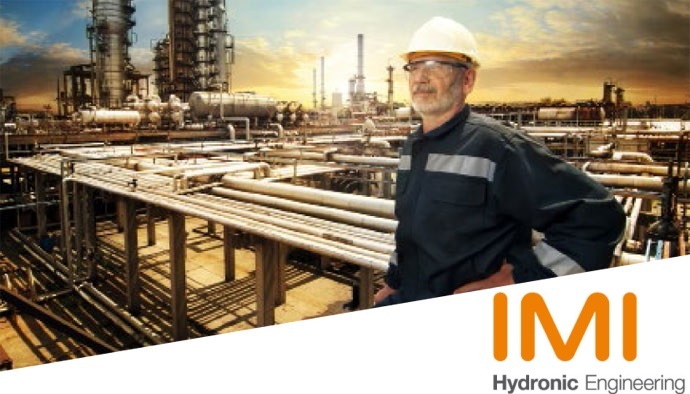 IMI Hydronic Engineering is part of the international engineering group IMI plc. With a turnover of £2.13 billion, IMI plc is listed as a member of the FTSE 100 on the London Stock Exchange. IMI Hydronic Engineering brings together 3 leading brands in the world of hydronic distribution – IMI TA, IMI Pneumatex, and IMI Heimeier. IMI Hydronic Engineering aims to be the most customer-focused, the most knowledgeable and the most innovative hydronic solutions company in the world. IMI Hydronic Engineering has an annual turnover of £300m and employs around 2000 employees worldwide. If you are enthusiastic about broadening your experience and feel ready for this challenge, please send your application letter and CV to: [email protected] and add to your application the following formula: "I hereby agree for processing the following personal information strictly for recruitment purposes in accordance with the regulation regarding the protection data passed on the following date: 29.08.97r. Dz. U. nr 133 poz. 883".